The day of romance, the day when the cupid shoots love arrows to make love connections (or so they say! ), the day when all you see around you is love and nothing but love, yes, we are talking about one of the most awaited days of the year – The Valentine’s Day. 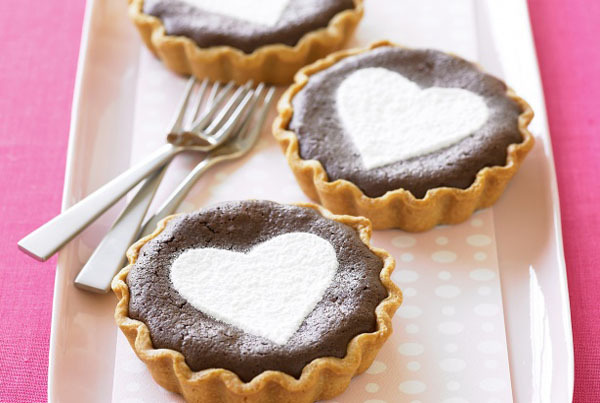 There is no dearth of love on this day and how we all wish everyday was a Valentine’s Day, right? (Yes and right now a lot of “love-struck” you would be saying “Oh! Every day IS a Valentine’s Day for us”. And we couldn’t be happier for you). Back to reality, it is incredible the kind of sugary and mushy things many couples out there are willing to do to make the love of their lives feel more loved, cherished, adored and nothing less than special. However, there are also those who know what they feel inside but only lack a few awesome ideas to make their other half fall head over heels for them. We feel you. Yes, we do. We have all experienced this at least once when the creative genius hiding somewhere inside us just won’t agree to show what it is capable of doing. But hey! We have got you covered here too. Creative or not, we are sure if you read carefully what we have to share with you, your other half won’t be disappointed. Who knows, you may even get lucky (No pun intended. We are just talking about the efforts being reciprocated). Cook for Him: The way to a man’s heart is through his stomach. For all those, who live to cook, you are already more than half way there and for those who avoid stepping in to the kitchen, it’s time you did. If you are skeptical about cooking, ask him to join you in the kitchen. All the more fun, yes? A Match Date : Nothing turns a man on more than a woman interested in sports as much as he is (of course there are other things that turn them on, too). So, grab a bucket full of popcorn, some munchies and beer and watch his favorite match with him and cheer for his favourite team. A Night Together – Men love it when they are surprised with some alone, quality time with their women. So, take this opportunity, keep the entire house to yourself this Valentine’s (if you live with mates or kids) and spice things up with your Valentine. 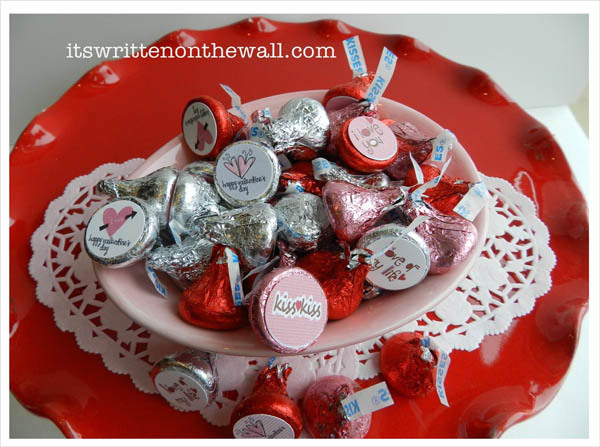 You can also decorate a room ready for Valentines day. Massage: Men love spa treatments as much as women. Get a massage table, light up some candles and dim the lights. Treat him to a full massage and let him unwind. Whatever follows, it’ll be a secret between us (pinkie promise). Surprises galore: It’s a known fact that women love surprises. 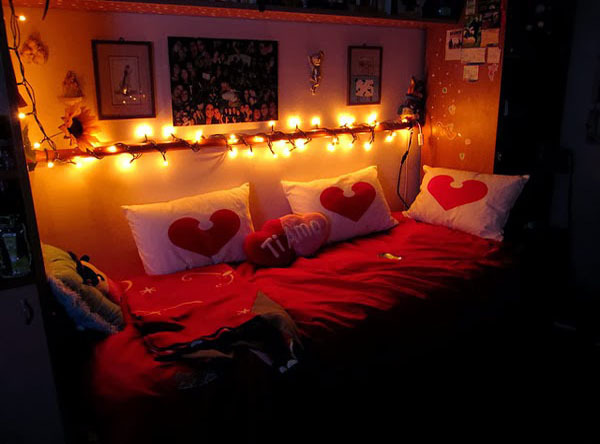 Decorate her room with heart shaped wall decals, some roses (make sure you get rid of the thorns), scented candles, light them up before she enters her room, and be ready to receive her love in the days that follow. Sing a Song: While you are having a candle lit dinner with the love of your life, hold her hand and sing her a romantic song, tell her how much she means to you. If you know how to play a musical instrument, say a Guitar, that’s all the better. 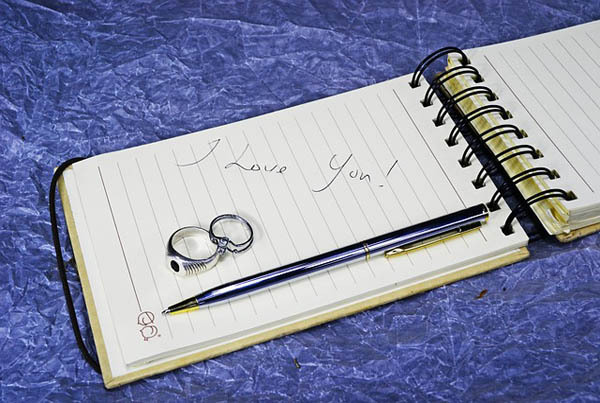 Propose: If you have been going steady with your special one and have been planning a proposal, then there’s no better day than Valentine’s to express your love for her and the willingness to spend the rest of your life with her. Breakfast in bed: Who says breakfast in bed is a passé? Clearly, we don’t. Whether it’s a heart shaped waffle along with decaf or juice (whatever she prefers), or toast and eggs, prepare breakfast for her and make sure you have it ready before she awakes. Oh, and don’t forget to keep a red rose on the breakfast tray. 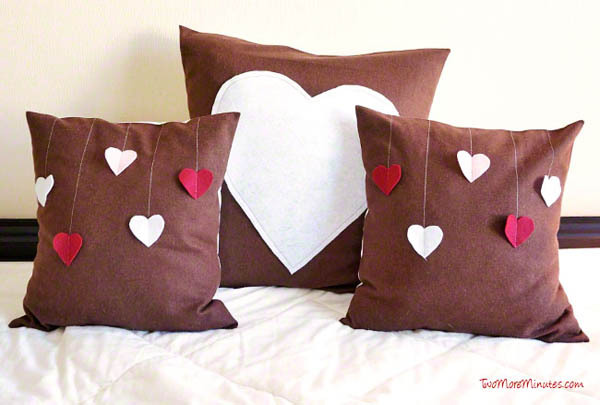 Throw Pillow: If you are one of the creative lots, decorate a throw pillow or two with hearts and glitter. You can even wrap a golden chain around it and hang a picture of you both and place it on her bed. You can even scribble small notes on the pillow with a permanent marker to make it more personalized. Make a scrapbook with one picture of you and your partner together on each page and also write one reason what makes that picture special and one reason why you love your other half. 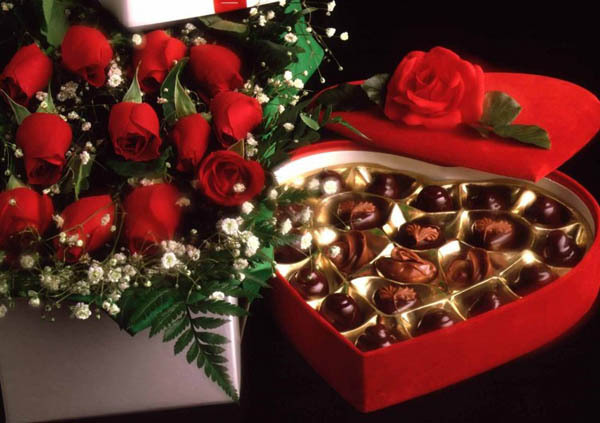 Flower and Chocolate Gifts. Who has ever gone wrong with surprising their other half with flowers and chocolates and all the other mushy things? Send love notes on your Valentine’s phone or email throughout the day to keep reminding them how special he/she is and how much you love them. Kisses, anyone? Hershey’s kisses? With a note that says buckets full of kisses? Of course if you could literally fill a bucket with Hershey’s kisses, that’ll just be awesome! Bubble Bath. How about a hot bubble bath with scented candles, a bottle of champagne, romantic music playing in the background and no light except that of the candles? Yes, please. Well, who doesn’t want to go out on a date with their special one on a day as special as Valentine’s Day? We all do. So here are a few date ideas that you can contemplate making them happen. Spa Together. Indulge in a spa together, or better still if you find a spa where they have couple spas, jump right into the opportunity and just indulge. Watch Sunset Together. How many times have you two watched the sunrise or the sunset together? If it has been a while, make sure you do that at least on this Valentine’s Day. And if you plan on a sunrise, then there’s nothing better than going for a fresh walk early morning pre or post your sunrise-watching session. Spend the entire day at home. Together. Buy some scented candles and keep them lit the entire day for that extra romantic effect, allow no sunlight if you want to keep it that way. Romantic Movie. How about a romantic movie in the evening followed by some drinks and dancing later? Pretty cool, right? I don’t think this needs any further explanations. Go on a date with your Valentine to your most favorite restaurant or to the one where you both first went on a date to. Talk about reliving old memories on a Valentine’s Day huh? For those of you hard pressed on money, don’t worry we’ve got you covered too. All you need to make him/her happy is your love. Sounds fair? Read on. Home cooked meal under the stars – There’s nothing more romantic than laying beside the most special person in your life, holding hands, under the blanket of star-lit night and talking. You could have a home cooked meal before all that, but spending quality time together is what we are aiming for, really. 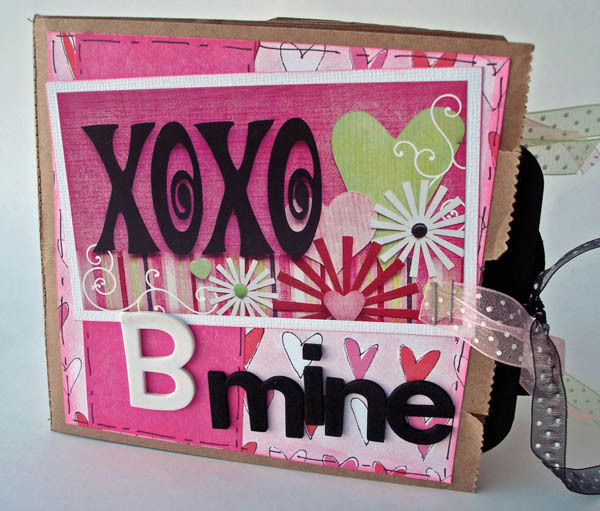 Personalized card – So they say that Valentine’s Day is incomplete without exchanging cards. 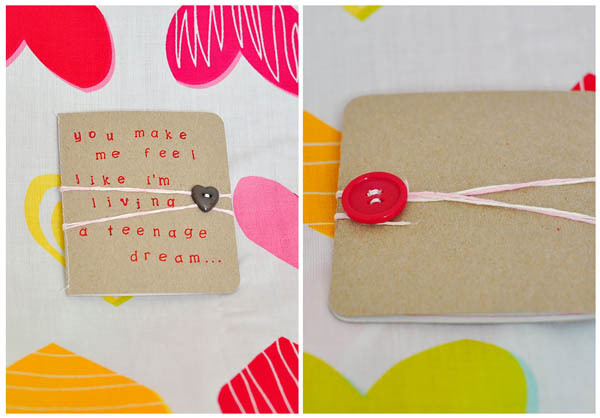 If that’s what you feel too then make a difference and give your partner a hand-made card and write love notes, even a poem if you can, and we’re sure the receiver would want to keep it for the rest of his/her life because that card would mean something special to them. A mix tape – Or in today’s scenario, a CD of assorted songs, love songs, his/her favorite songs, no matter the genre. The idea is to give them something that they will cherish for a long time to come. And what better than a CD with the collection of their most favorite songs that they can store in their music player to listen to on the go? A collage – Take as many photos of you and your partner’s photos together as you can and make a nice collage out of it. Do it either online using a cool collage software or make it yourself. We are sure hanging it on the wall would be the first thing they’ll do upon receiving it. 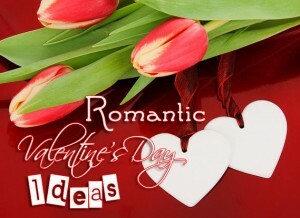 Painting – If you want to test the creative genius in you, paint something for your sweetheart. If not, then try the easiest method – take your most favorite photo with your love and check online for a tool that turns pictures into painting, get it framed and voila! No matter what you do, how much money you spend, just remember to make your partner feel loved and special. And not to forget, it’s really the thought that counts that makes all the difference. So, go ahead and spread the love while you can. Do share with us any other Valentine’s Day Ideas you have or your experience of how the day went.